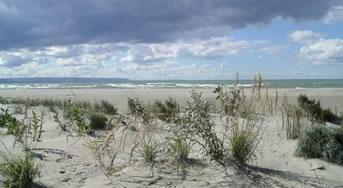 The Friends of Nancy Island Historic Site and Wasaga Beach Park is a non-profit, charitable organization dedicated to furthering the educational and interpretive programs of Wasaga Beach Provincial Park and Nancy Island Historic Site. Find out more about the goals of the Friends of Nancy Island! The plovers are back! 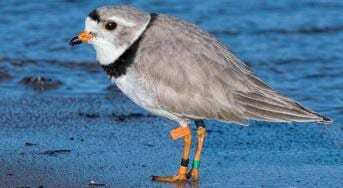 Wasaga Beach claims the first Ontario sighting for Piping Plovers this spring! Updates to follow. Join us in commemorating the 205th Anniversary of the sinking of the HMS Nancy. 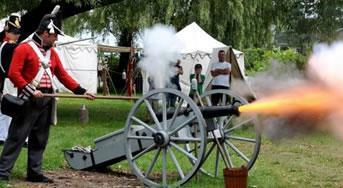 British Navel re-enactors will transport you back to the War of 1812 with sailing vessel and weaponry demonstrations. Metro Marine modellers will display and sail “model ships” on the river. Children can enjoy model ship building, knot tying activities, and more! Come and learn about all things “ship and sail” at the 2019 Wasaga Under Siege event. More information to following in the upcoming months. Support our education, conservation and research programs! This includes the Piping Plover stewardship program and the operation of Nancy Island Historic Site. Download and print our Membership Form. The Friends have started a blog – and we would love for you to check it out: CLICK HERE Learn more about Wasaga Beach’s unique natural and cultural history, keep up to date on activities and events, follow our twitter feed, and don’t forget to subscribe for e-mail notifications. Happy reading!